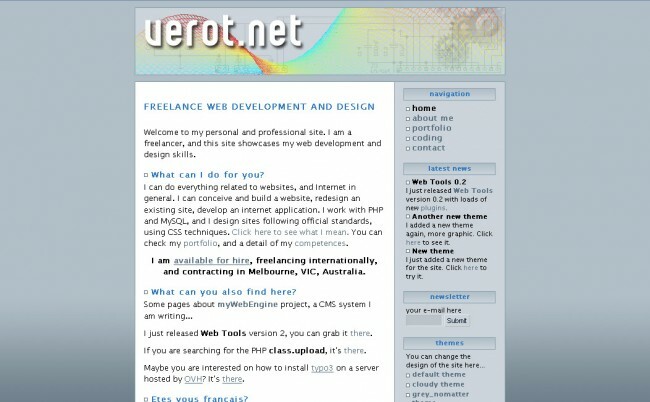 This theme was the first to be designed for the myWebEngine CMS which powers this website. 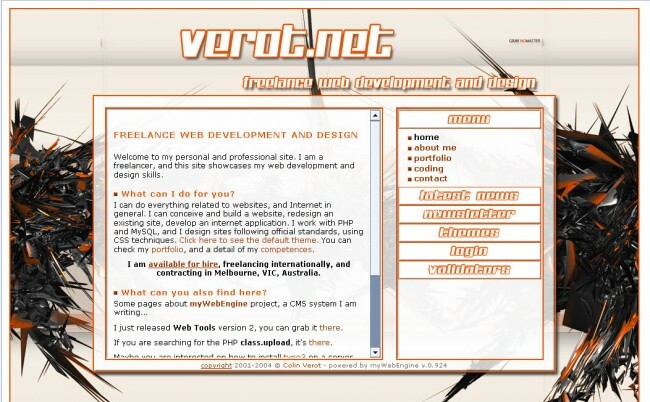 It was my first attempt to design websites entirely with XHTML and CSS. 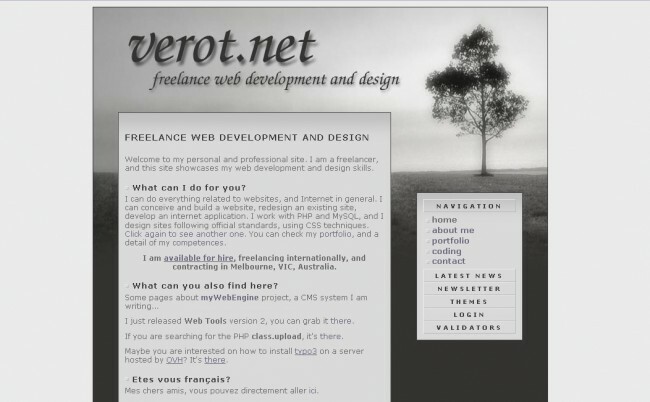 I did this theme not a long time ago to showcase the versatilty of myWebEngine theming. As ever, the theme is entirely written with CSS, and is using a CSS only dynamic navigation system. This theme was to try out a fixed layout with a scrolling content. The navigation boxes are dynamic. And again, it'll done with CSS. The background image is a wonderful work of iune Wind. Used with permission.